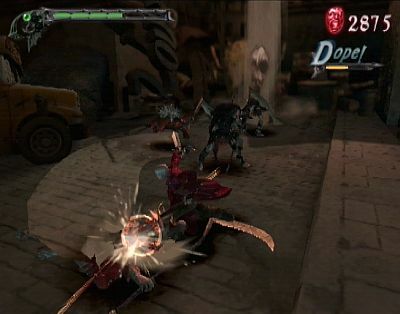 When Devil May Cry was released for the Playstation 2 in 2001, it was a resounding success. The action was stylish, and the combat was extremely fun. Anticipation and excitement was high for a sequel that could be as good as, or even better than, the original. But when Devil May Cry 2 was released in 2003, it was a massive disappointment. Completely missing everything that was so great about the original, the game was a completely mediocre affair, leaving a bad taste in the mouths of gamers. If there was to be a third game, it had to be fantastic to make up for this. 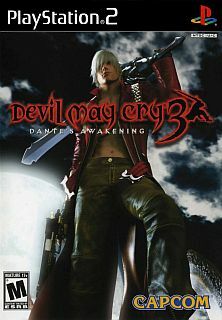 Enter Devil May Cry 3: Dante's Awakening, released in 2005. The game was built from the ground up to be complex, varied, challenging, and most of all, fun. The action was more intense than before, and the weapon variety was astonishing. 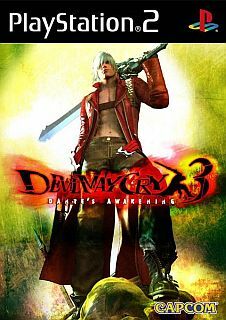 Devil May Cry 3 was not only a billion times better than 2, but it was arguably better than the original, as well. 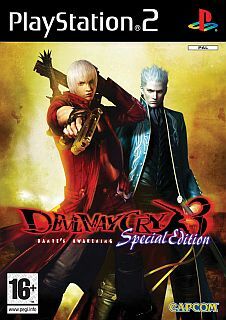 A prequel to the original game, the story follows the half-human/half-demon hybrid, Dante, and his inevitable clash with his twin brother, Vergil. What is Vergil's agenda? Who will be the final victor? And who is this mysterious Lady? 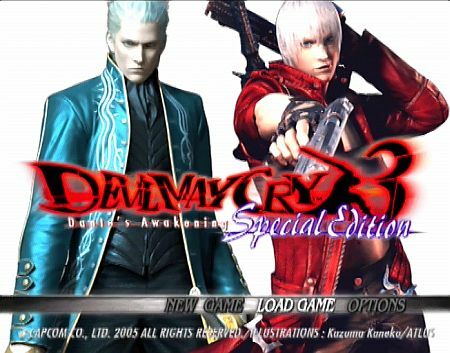 We'll be doing most of this LP on Very Hard difficulty, and will be exploring Dante Must Die mode, too. We'll be collecting all of the secrets, completing all secret missions, and watching all cutscenes. Mission 1: A Crazy Party - Turn up the music and order the pizza - the demons are here! Mission 2: The Blood Link - Things intensify as we defend ourselves from an even bigger onslaught of enemies. Mission 3: The Devil's Tower - The game opens up and we find all sorts of cool things, including new weapons! And a big, scary boss. Mission 4: The Uninvited One - They invited us to this tower, so we're gonna make ourselves at home and kill some local pests. Mission 5: Of Devils and Swords - An extremely unoriginal title for such an action-packed mission. Mission 6: Family Ties - The calm before the storm that is Mission 7. Still plenty of new things to discover here, though. Mission 7: A Chance Meeting - An inevitable clash of personalities and swords. Mission 8: A Renewed Fear - Oh god, this is NOT what I signed up for. Mission 9: Faded Memories - These underground caverns have it all: pain, temptation, and awesome new weapons! Mission 10: The Job - The trek to cross a bridge of destiny or something. Mission 11: Revenge - The search for the second power source. Mission 12: Hunter and Hunted - A race of survival. Mission 13: Chaos' Warm Welcome - The epic battle to stop the reopening of Hell. Mission 14: Drive! - In the aftermath, our final climb begins. Mission 15: The Gatecrasher - Unlocking a new puzzle as the sky rains demons. Mission 16: Win or Lose - With time running out, it feels as if the tower itself is struggling to hold us back. Mission 17: Inner-demons - Despite triggered enemies, tons of spikes, and goddamn CUBES, we make our final ascent! Mission 18: Invading Hell - Hell stands before us, and an army of the strongest demons in existence is our welcoming party. Mission 19: Forces Collide - We try to make our way blindly through Hell, and Hell is far less than accommodating. 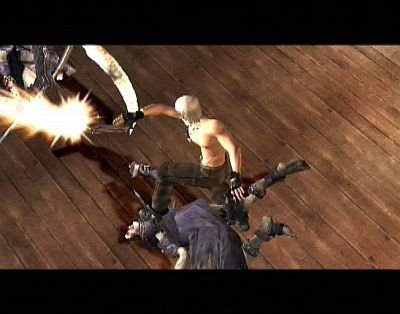 Mission 20: Screaming Souls - The showdown of the sons of Sparda. Bonus video! Dante Must Die Mode - An exploration of what Dante Must Die mode brings to the table. There are no trivial fights in this difficulty! Bonus video! Video and Art Gallery - A collection of fun behind-the-scenes stuff!